9-Hole skins game charity event Oct 15th! Come and join us this Saturday, October 15th, for a fun 9 hole skins game hosted by SUPing the Sea & The Club at Laguna del Mar at their spectacular course! 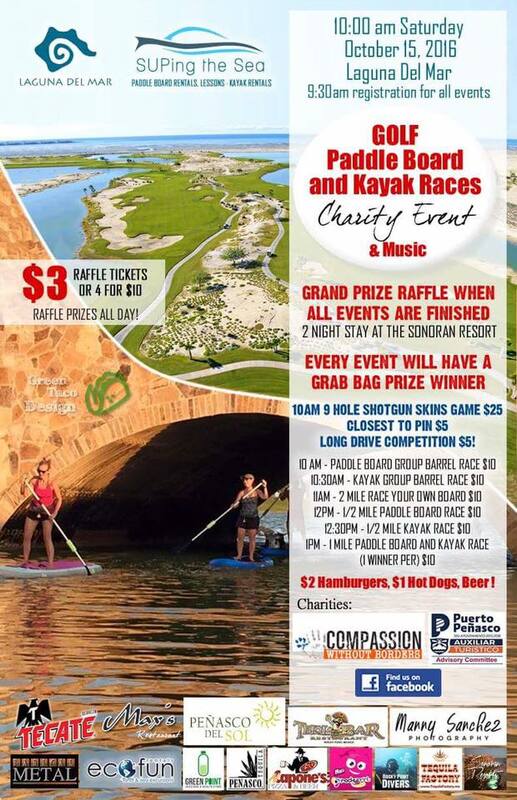 This Charity Event, which is part of a whole day of activities at The Club, will help raise funds for the organization “Compassion without Borders” as well as the local Tourism Assistance Unit. Prizes for the skins game will include a 6 month golf membership to The Club for the winner, plus surprises for 2nd and 3rd along with awards for longest drive and closest to the pin.